Tarik Black is an imposing 6-foot-9, 250-pound young black man with so many tattoos from his neck down that he lost count. As an NBA player, the Memphis, Tennessee, native might fit the stereotype. But knowing he is usually judged at first sight, the eccentric Los Angeles Lakers big man loves to spark conversation with a nervous woman clutching her purse or a fan who sees him as just a jock. “You walk into an elevator or room and they say, ‘It’s a basketball player,’ and that’s automatic. And I know I fit the description,” Black told The Undefeated. “I’m tall. I have the stature. I have tattoos. But, it’s another thing when you actually continue the conversation, because I’m personable, I love talking to people, I love socializing, I love communicating. I just get to know people. Black started planning on being more than just a basketball player when he was a blue-chip prospect in high school. He was a consensus Top 50 recruit in 2010 and ranked 54th in his class by ESPN.com. As a senior, the 2010 Tennessee All-State selection averaged 16.2 points and 12.6 rebounds. He also turned down offers from several top programs to play in his beloved hometown for the University of Memphis. One of Black’s close advisers in high school was Willie Gregory, senior director of global community impact for Nike Inc. Gregory told Black that he had NBA potential but needed to think beyond that, and that it would benefit him to earn his bachelor’s degree as quickly as possible. Black heeded that advice and he started the process by taking summer school classes upon arrival at the University of Memphis. 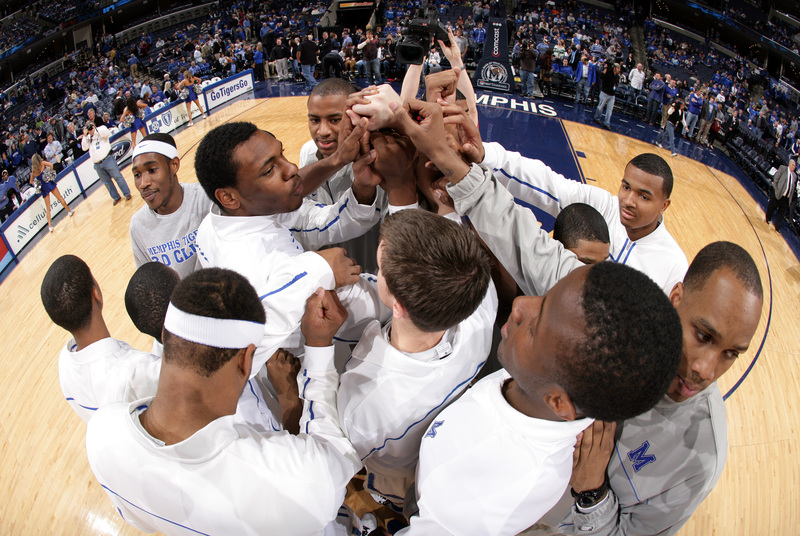 Tarik Black (left) of the Memphis Tigers leads his team in a huddle before a game against the UCF Knights on Jan. 26, 2011, at the FedExForum in Memphis, Tennessee. Black’s college basketball career opened strongly as he was a starter for most of his freshman year at the University of Memphis. He averaged 10.7 points, 4.9 rebounds, and 1.5 blocks per game as a sophomore. His career with the Tigers took a step backward, however. As a junior, he only started a mere five games averaging 8.1 points and 4.8 rebounds in 20.8 minutes. Black didn’t see eye to eye with Memphis coach Josh Pastner and even walked out of one of his practices. Black now takes responsibility for his struggles. Black’s academic life was a different story. He was named to the Tiger Academic 30 during the 2013 spring semester for having the team’s highest grade-point average. Living up to Gregory’s challenge, he graduated from Memphis with a degree in organizational leadership after his junior year. With a degree in hand, Black actually became eligible to transfer to another university for his final year of eligibility as a graduate student. He immediately got interest from such college powers as Kansas and Duke. His mom’s phone actually began going crazy with text messages and calls as her son announced the news. Black eventually ended up accepting a major offer to transfer to Kansas. He joined two five-star recruits named Andrew Wiggins and Joel Embiid, now two of the NBA’s young rising stars. Due to his late decision to transfer, Black only had one opportunity to pass the GRE General Test to qualify for business school. He mistakenly thought he had two chances and didn’t think he studied well enough the first time. His fear came true as he was three points shy of passing the GRE, leaving him ineligible for admittance to business school at Kansas for the 2013-14 season. Instead, he chose African-American studies. Although he still kicks himself about his GRE error, he believes a master’s in African-American studies is more meaningful to his hope to aid underprivileged and struggling inner-city communities in Memphis in the future. 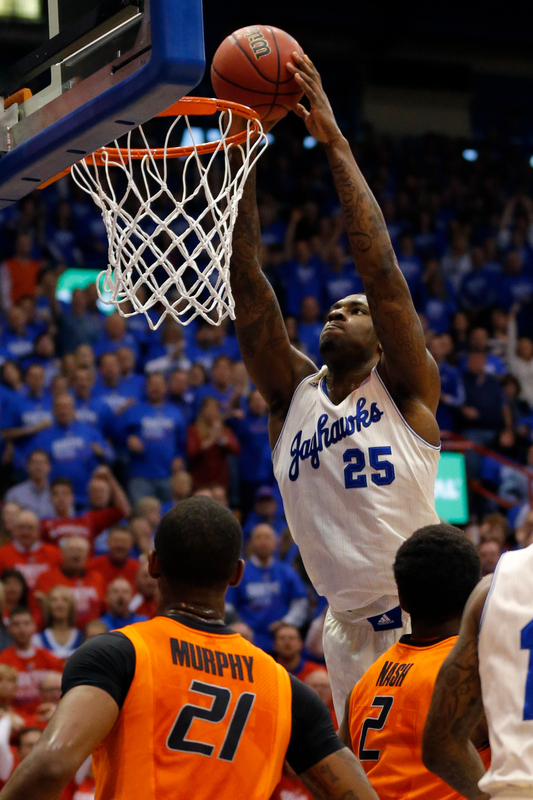 Kansas forward Tarik Black (No. 25) during the first half of an NCAA college basketball game at Allen Fieldhouse in Lawrence, Kansas, on Jan. 18, 2014. Black was named the Big 12 Conference Preseason Newcomer of the Year and initially fell victim to all the hype. He struggled during the regular season, averaging 5.5 points and 3.9 rebounds in 13.5 minutes per game. After Embiid was sidelined, Black averaged 15 points per game during the NCAA tournament. With Embiid out, Kansas’ season ended when it lost in the second round of the NCAA tournament to Stanford without him. Wiggins was the top pick in the NBA draft while Embiid was selected third overall. As for Black, 60 picks went by without his name being called. He was initially depressed as the second round unfolded without him. Black’s agent, Michael Lelchitski, however, told his client that not being drafted in the second round was a great thing since he could choose a team that best fit him. After getting interest from several teams, Black agreed to sign as a free agent with the Houston Rockets shortly after the draft concluded. After Black delivered a strong summer league performance, the Rockets signed him to a nonguaranteed contract in August 2014. He went on to make the Rockets’ opening night roster. Black’s first NBA game was on Oct. 28, 2014, when new Rockets center Dwight Howard returned to Los Angeles to play the Lakers. Black had two points in 20 minutes in the Rockets’ 108-90 blowout, which was highlighted by a yelling match between Howard and Lakers star Kobe Bryant and Lakers rookie forward Julius Randle breaking his leg. On Christmas Eve that year, Black was told the Rockets were waiving him to make room on the roster for free-agent forward-center Josh Smith. Four days later, however, Black signed with the Lakers on a waiver claim. Black averaged 9.3 points and 7.5 rebounds per game on 60.5 percent shooting with the Lakers after being reinserted into the starting lineup at center and finished his rookie season. 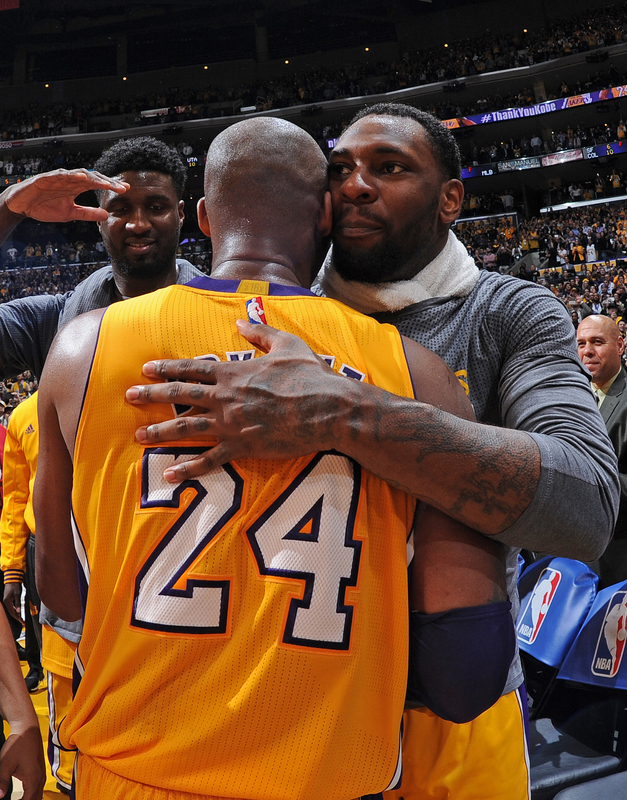 He returned during the 2015-16 season, which would also be the 20th and final season for future Hall of Famer Bryant. While many Lakers and NBA players asked Bryant for signed memorabilia and pictures, Black asked for private one-on-one time. Kobe Bryant (No. 24) and Tarik Black of the Los Angeles Lakers hug after the game against the Utah Jazz at Staples Center on April 13, 2016, in Los Angeles. While Black quietly learned from one of the NBA’s greatest players, he also earned his master’s degree from Kansas. Black took a heavy load of classes the summer before his rookie NBA season. He took more classes during the summer of 2015. He completed and turned in his thesis during the 2015-2016 season. Black’s academic adviser gave him the final word via a phone call. Kansas paid for it all and offered a great academic supporting cast. “It took people helping me through it,” Black said. “People were there for me and my backbone, and carried me through it, locking me into getting it done. It feels wonderful to have that paperwork, especially in today’s world. A bachelor’s doesn’t mean much. It’s basically like a high school diploma. So, having a master’s, it means so much, especially to have the accolade as 24-year-old black man and to me personally. Los Angeles certainly has all the trappings for any rich young man in his early 20s. The city’s club scene may be second only to Las Vegas. Doors to the newest, latest and hottest of everything are always open to any player from the 16-time NBA champion team. Black, however, has put his energy into meeting some of the movers and shakers of the L.A. business world rather than moving and shaking on the dance floor. “Everyone thinks that being on the scene is the place to be,” Black said. “But they don’t understand that the people that are on the scene work for the people that run the scene. The people who run the scene are also in L.A., but they’re not in the clubs, the popular spots or where the paparazzi are taking pictures. They run the scene behind the scene. Black is making $6.1 million in the final year of his contract this season with the Lakers and is expected to continue his NBA career. He has put in the paperwork to start the Tarik Black Foundation with a mission “to provide inner-city youth with an opportunity and perspective to level the playing field” primarily back home in Memphis. He plans to buy his first house this year in Los Angeles. He has also invested in the OjO Electric Scooter, a company that makes e-scooters with a patented ergonomic design for comfort, style and agility. “I live life to be the role model that I always wanted,” Black said. “And if anybody can learn anything from my story, it is to take what you need, because I’ve experienced a lot. I’ve seen a lot and I won’t be bold enough to say I’ve seen everything. So I won’t ever sit and say that I don’t want anybody to ever mimic me, because a lot of people mimic people.